58126 • Tamiya Lotus 107B Ford • F103 • (Radio Controlled Model Archive) • RCScrapyard. 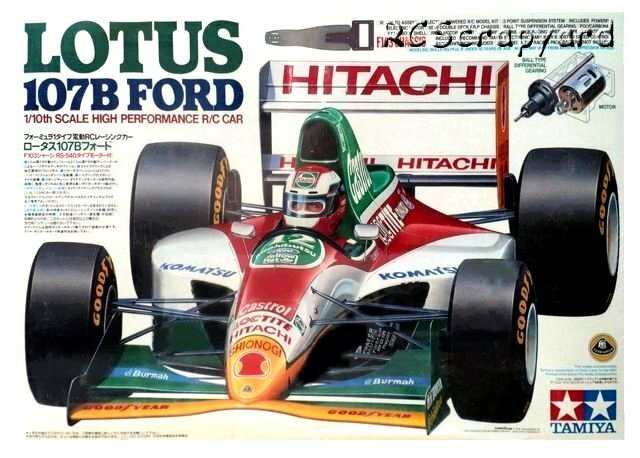 Released by Tamiya on September 29, 1993, this is a model of the Lotus 107B Ford that was the car driven by Johnny Herbert and Mika Häkkinen in the 1992 F1 season. 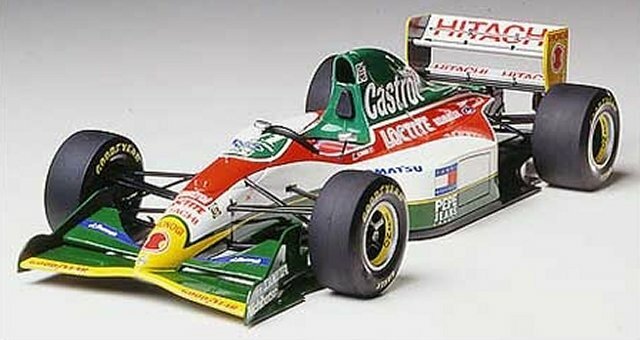 The model was also the first Tamiya Formula car based on the F103 Chassis. A number of changes were made to the F103 over the old F102 chassis. The chassis plate, motor mount and upper deck were re-designed, a friction damper coupled with a damper plate assembly was included and the steering servo was re-positioned.